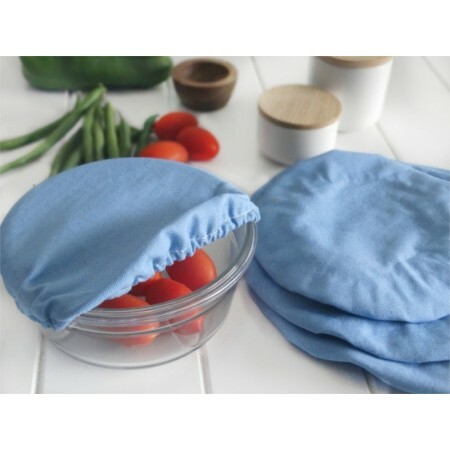 Food covers in denim design are a reusable alternative to cling wrap to keep food fresh in the fridge or on the table. Set of 4 food covers. 4MyEarth food covers are a reusable alternative to cling wrap to keep food fresh in the fridge or on the table. Set of 4 food covers in leaf design with a variety of sizes to cover a range of containers. 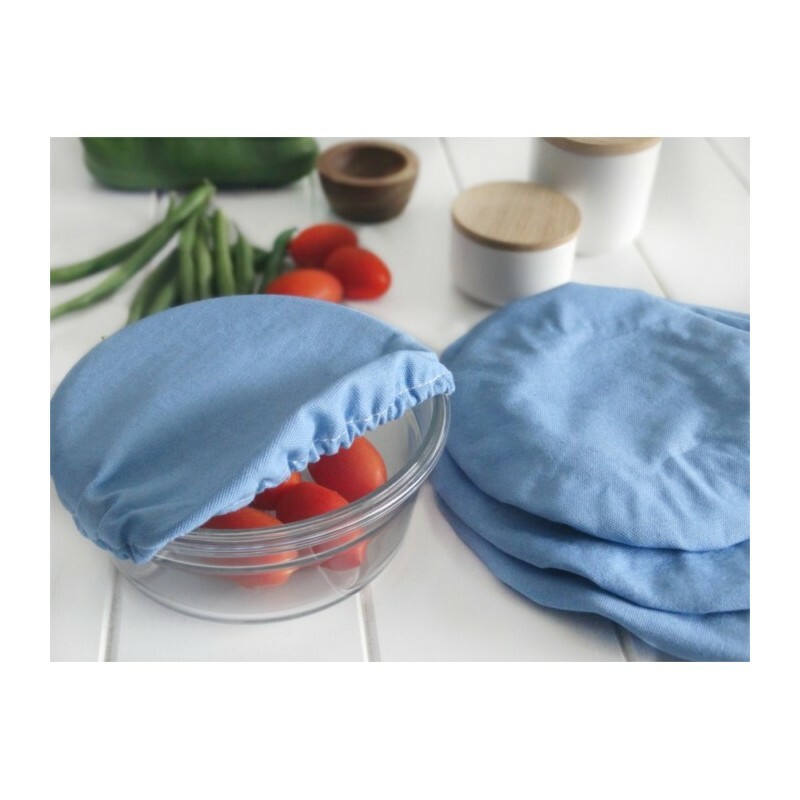 Each food cover is completely washable and made from food grade cotton/canvas with a biodegradable interior coating. Replacing single use plastic with a good quality reusable alternative saves resources & landfill waste. So easy to use, wash & re-use. Keeps food fresh & I'm impressed.